Posted January 19th, 2018 by Matt Colley & filed under Estate Agents, Finance, First Time Buyer, House Hunting, Life Insurance, Mortgage, Moving Experience, Property Purchase. Every now and again somebody will say something to you, possibly as a passing comment that will really stick. That comment may even become your very own ‘Sliding Doors moment’, something that you refer back to, and a memory that impacts considerably upon decisions in the future. This is the story of one of mine. During this week I attended a conference, designed for business owners within my industry to reflect upon last year and more importantly to think about and plan for the year ahead. Topics for presentations ranged from motivation, through compliance, new products, and business management. A common theme and message throughout many of these presentations was ‘put your customers at the centre of your business, and build relationships’. It’s absolutely true that there are many firms within the financial services industry that have perhaps been guilty of not keeping the customer as the focus of what they do. In the past I’ve witnessed companies and individual advisors that stuck rigidly to a model of ‘making X amount of phone calls = book Y amount of appointments = sell Z products, in order to achieve a personal goal / target.’ Please don’t misunderstand me, I am aware that most businesses can be broken down this way, and that sales / revenue targets will be set according to a similar formula, but I hope that you’ll agree that this totally transaction based mind-set could, and does, shift focus away from the customer as an individual. People become numbers, and as such they are de-personalised. In March 2007 I worked with a client who I was aware had spoken to several other advisors. When she was looking for a house, almost every estate agent would try to insist (or at least invite) that she should sit down with the mortgage broker recommended by their office. To be transparent, the only reason she was talking to me was that I was working within an estate agency office at the time, and we’d be introduced by one of the team. After looking at many properties, and talking with all those mortgage advisors, she ultimately chose to buy her new home from a different estate agency, but asked that the financial arrangements should be sorted by me. As we filled out her application forms I asked why, and after a few moments she said “You’re not like a normal advisor, you’re like a mate who knows this sort of stuff”. During the conversation that followed, the young lady explained that when we she’d visited others, she felt that they had talked at her rather than with her. Sales techniques had been pushy, and brokers had ‘pitched’ for all of the time she’d been with them. By contrast, when we’d talked I had asked more questions about her and about her life, plus plans for the future. Our appointment was longer and more relaxed than the 45 mins she’d been granted elsewhere. At the end of our meeting she felt she’d learnt something, and better understood product options and processes. At around the time of the above conversation, whilst we filled out those forms, I was investigating the possibility of setting up my own Mortgage and Protection Advice Business. I had of course thought about what might be different, how I might stand out from the competition, and how I might explain that difference in a succinct way. That conversation was my ‘Sliding Doors moment’, and when Moving Experience launched in May 2007 I set out to care and support clients ‘like a mate who knows this sort of stuff’. What Hayley said is something I have thought about every day, and has become the mantra that has been ‘drilled in’ to the team of people (both internal and external) that have worked with our business. 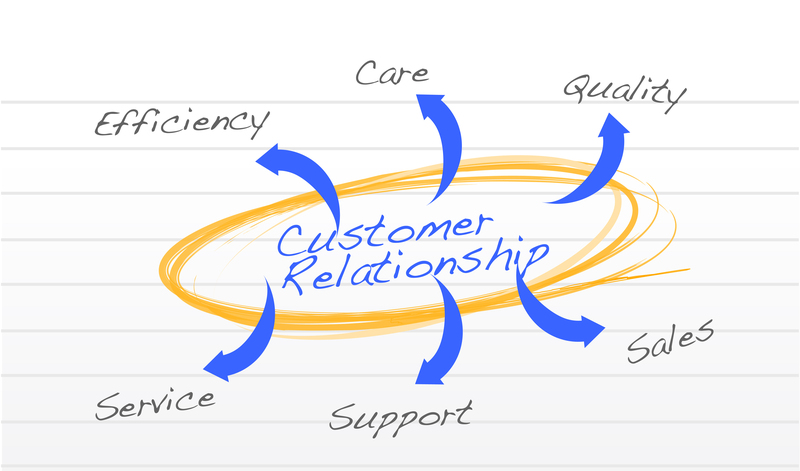 For almost 11 years we’ve been building relationships, and ‘putting the customer at the heart of our business’, but we never knew / used those words. In conclusion, I do not profess to be any sort of pioneer or visionary, and perhaps if I was more of a ‘number cruncher’ then maybe the business might have grown more swiftly than it has. What I am proud of is the relationships that we’ve created, and the number of people who (like Hayley) are still working with us after 8, 9, or 10 years and recommending that their friends should do the same. What I think is fantastic news, and I believe will be good for all, is that I work in an industry that is being encouraged to re-personalise, and hopefully to put customers & focus where they belong. Muttiserv Ltd is registered in England & Wales No. 6182159. The Registered Address is 69 Redhill Drive, Bristol, BS16 2AG. The guidance and / or advice contained within this website is subject to the UK regulatory regime and is therefore primarily targeted at consumers based in the UK.